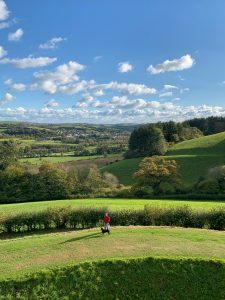 Restormel is surrounded by a deep moat and stands majestically on a knoll overlooking the River Fowey meandering gently below and Lostwithiel, the Medieval capital of Cornwall. Situated about a mile from the ancient stannary town of Lostwithiel, and despite being on high ground, Restormel is rather surprisingly not visible from a number of aspects. 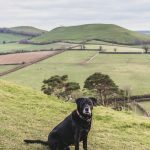 It wasn’t until the 1980’s that it became a Scheduled Monument and today, although still owned by the Duchy of Cornwall, it’s maintained by English Heritage and is open to visitors throughout the summer months. The present-day castle stands upon earlier Norman earthworks and is surrounded by a deep dry ditch. The initial building, a motte and bailey castle, was constructed out of wood c.1100 shortly after the Norman Conquest. Like many castles of this period it was constructed to guard a strategic river crossing point; in this case the River Fowey. In the early 13th century the castle was rebuilt as A Shell-Keep Castle which was the typical style for this period of history. In essence, it was a major makeover rather than building from scratch! 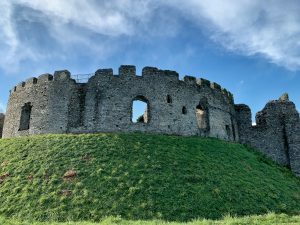 A large stone wall was erected on top of the existing motte and, in Restormel’s case, led to the picture perfect circular castle that we can see today. 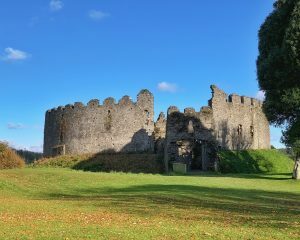 There are only seventy-one known Shell Keep Castles remaining nationally of which Restormel is arguably the most intact. 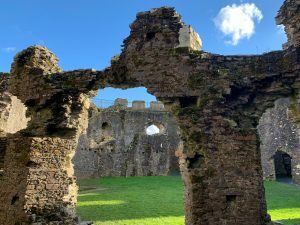 Throughout the centuries, like all historic buildings, Restormel’s fortunes have ebbed and flowed. 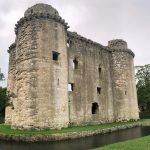 In 1270 the castle passed into the possession of Richard, 1st Earl of Cornwall, who was the younger brother of King Henry III and one of the wealthiest men in Europe of this era. He most probably initiated the rebuilding of the shell-keep but died the following year, and so left his son Edmund to complete the project. After his father’s death, Edmund, 2nd Earl of Cornwall, made Restormel his main base as Lostwithiel had become both the administrative and commercial capital of Cornwall. He completed the castle, rebuilt in stone, that we see today. It’s hard to imagine nowadays as you survey the current landscape but the backdrop to the castle was an extensive deer park that was the largest in the county. 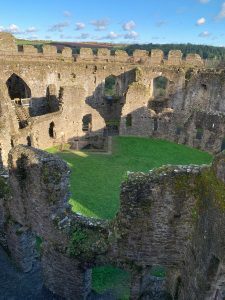 It has been suggested in Restormel Castle, Cornwall: A Reappraisal by Thomas, Berry and Creighton that ‘it’s function was less a military stronghold and more as a magnificent fortified hunting lodge’. Edmund died in 1299 without leaving an heir and so his lands reverted to the Crown. By 1337, Restormel now in a state of disrepair became a part of the newly created Duchy of Cornwall. This dukedom was created by King Edward III as a source of finance for his son, the heir apparent, Edward of Woodstock, The Black Prince 1330-1376). Despite carrying out extensive repairs to the property Edward is believed to have only stayed at Restormel on a couple of occasions throughout his lifetime. By the 17th century, the castle had fallen into a ruinous state. Despite this, it was during the Civil War that Restormel saw military action for the first and last time in its long history. 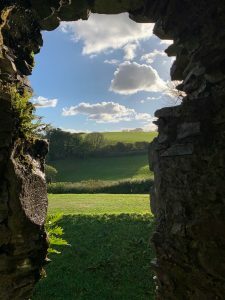 In 1644, the castle was stormed by Royalists whilst being occupied by a garrison of Parliamentarians who were using it as a lookout post for their headquarters in nearby Lostwithiel. In reality, it was just a small skirmish. Prince Charles, Duke of Cornwall, is the current owner of Restormel as the Duchy has remained the property of the heir apparent ever since its inception way back in 1337. 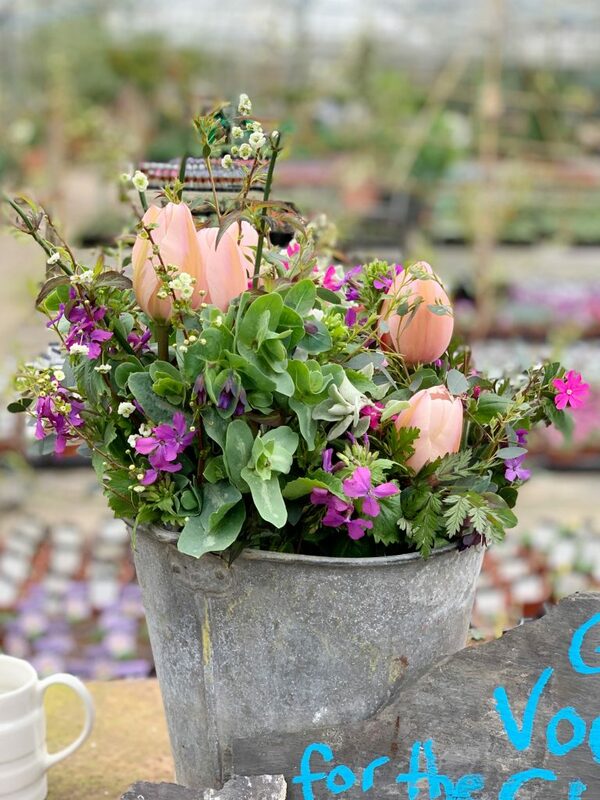 However, as previously mentioned, English Heritage undertake the care and maintenance of the property making it possible for the public to visit this picturesque historic property. There’s an on-site car park for 25 spaces which is situated approximately 70 metres from the site entrance and admission is free to English Heritage members but there’s a fee for non-members. There are toilets sited near the castle and include baby changing facilities. Only snacks can be purchased at the English Heritage shop and so it’s advisable to either bring a picnic or visit nearby Lostwithiel, about a mile away, for a bite to eat. Lostwithiel – Ancient Stannary town and Antiquing Capital of Cornwall! St Bartholomew’s Church and the Medieval Bridge over the River Fowey are well worth a visit. Lanhydrock House – One of the great Country Houses in Cornwall owned by the National Trust. The house gives a fascinating glimpse of the upstairs/downstairs divide that was so typical in late Victorian England. 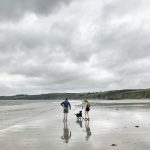 Polkerris Beach – A beautiful sandy cove with a beachside pub The Rashleigh Inn serving great food.